Every now and then, a great discovery is found by complete accident and luck. 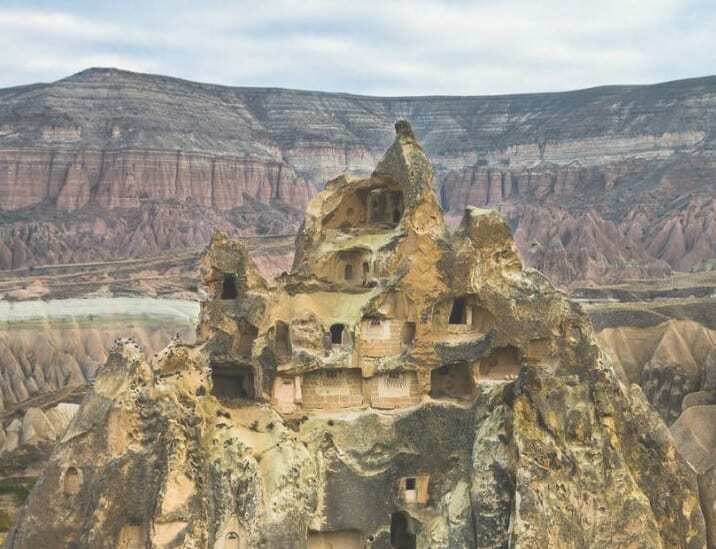 There are thousands of unknown ancient sites that have yet to be discovered today, but the possibility that you will stumble upon one in your own house is pretty rare. This is exactly what happened to one Turkish man. This is the story of a normal family man who simply wanted to expand his home and make room for his many relatives A modest man with a modest income, he couldn’t afford to hire professionals to do the renovations for him so he decided to take on the project all by himself. He began working from his basement floor, and planned to take down one of the walls in order to build an extension from there. The extension would act as extra living space for his already overcrowded home. He began to chip away at the wall until it was completely gone. He wasn’t sure what was behind the wall but was expecting to find some rock or dirt that he would have to clean out of his way. However, after the wall was down, his jaw dropped at what was in front of him. Instead of rock and dirt, he found a dark and empty room that had been tucked away for thousands of years. Not knowing what all of this meant, he contacted the Turkish Antiquities authorities. What they discovered, along with many other historians and archaeologists, was something quite more special than just an old room. The man had no idea that what he accidentally stumbled upon would stand as one of the largest ancient discoveries of all time. Read this story to find out more about this man’s incredible discovery, and the ancient hidden secrets that were revealed. One day a man decided it was time to renovate his house. As time went by the amount of family relatives living in the house increased, and he knew it was time to make some adjustments. So, he decided to take on the project himself and made a plan to knock down his basement wall in order to expand on the small home. He had no idea that he was going to stumble into a secret as old as time. Despite the man’s incredible discovery that made headlines, his identity remained unknown. Historians haven’t even been able to find out what his name is. He is simply an average man who happens to live in an ancient village in Turkey and who wanted to renovate his home. The man’s home is made of old white stone, similar to many of the surrounding homes in the village. Unlike his neighbors, his home was hiding one huge secret. As the man started knocking down his basement wall, something strange caught his eye. As pieces of the wall broke away, he saw there was an open area. As more of the wall broke away, he couldn’t believe his eyes. In front of him was a hidden and very dark room. Cold air escaped through the new hole, and as he carried a flashlight, he bravely entered the pitch black room. The man slowly creeped into the dark room not knowing what to expect. He was slightly disappointed to find that the room had no treasure, in fact it was entirely empty. The room was small, narrow and dark. He walked carefully and slowly throughout the room hoping not to run into a poisonous snake, spider or scorpion that Turkey is home to. Despite his fear, he continued to move onward. The man was shocked when he saw that it wasn’t just a single room, and that there was a tight hallway that connected to yet another room. The hidden site under his home appeared to look like a concealed hiding spot. 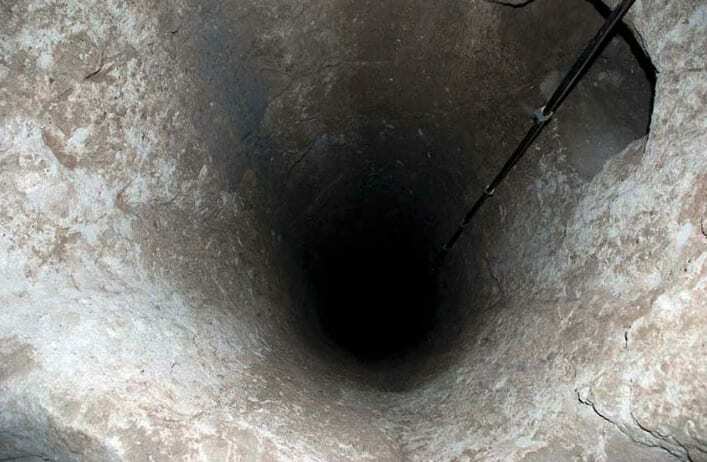 Although the man had heard of sites similar to this being found throughout Turkey, he had never seen one so spacious. The man knew that he had discovered a part of ancient history. The man could tell by the smoothness of the stone that the rooms did not occur naturally, they were manmade. The man assumed that the site must have been built by human hands thousands of years ago. Despite the utter darkness, the man had no choice but to keep exploring. The site was unlike anything the man had ever seen before, he felt like he was in the middle of a horror film. As the man kept moving forward, he noticed another hole in the wall in front of him. Although the corridor was barely wide enough for one full grown adult, he squeezed inside and walked through. The corridor suddenly turned into a set of stairs. Walking down the stairs, he kept his head down to avoid hitting himself on the extremely low ceilings. As he explored every inch of the unknown site, the man couldn’t believe what he was seeing. The deeper the man explored, the more he realized just how massive this secret site really was. He felt as if he was in the middle of a never-ending maze. He spent hours examining the several different rooms and hallways until he decided to head back up to his house. As soon as he made it out, he picked up his phone and called the Turkish Antiquities Authority and told them about his shocking discovery. 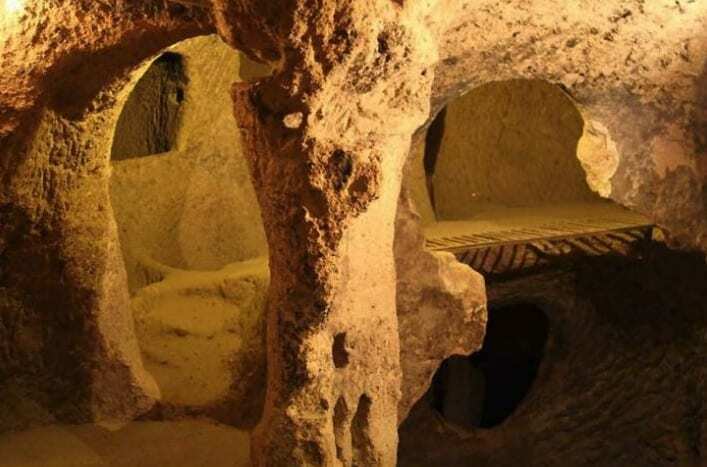 The Nevşehir province of Turkey, where the man lived, dates as far back as 6th century B.C. and is filled with ancient history. 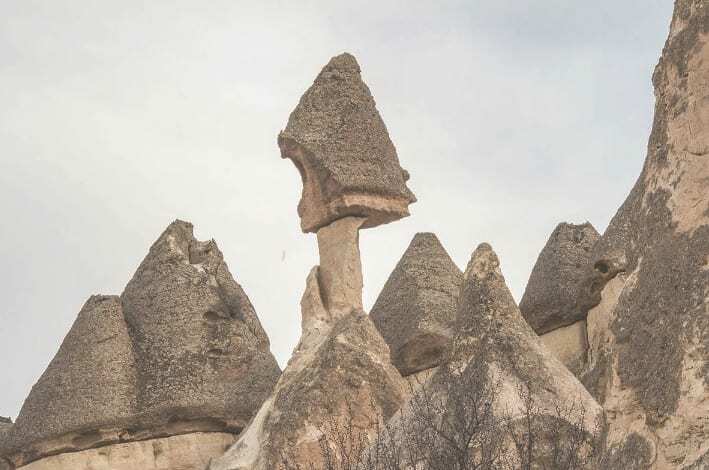 Located high on the Anatolian plateau, Nevşehir is dry and rarely gets any rain. Surrounding the area is a landscape of volcanic peaks. 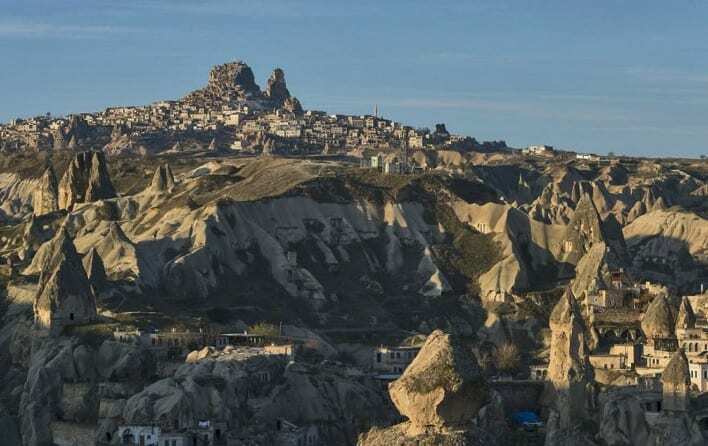 Residents of Nevşehir are surrounded by a total of 14 volcanoes. Perhaps the man’s strange discovery could be connected to the multiple volcanoes that the region is known for? 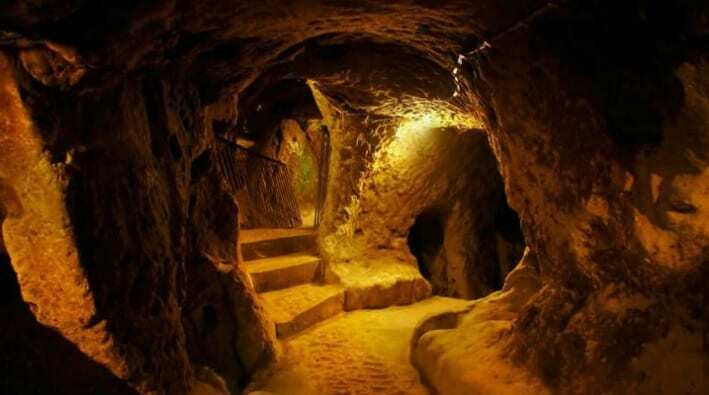 As soon as the man notified the authorities, historians began researching the bizarre lair. In 1600 B.C. 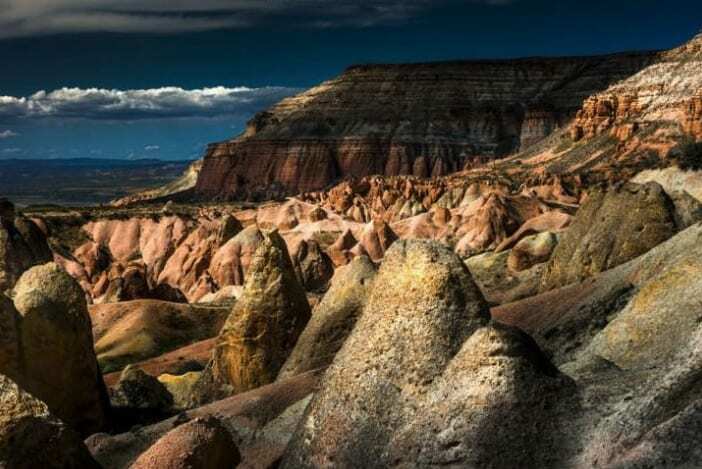 the area was inhabited by Anatolian people called Hitties. Hitties built an empire on the plateau which eventually fell and was taken over by the Persian Empire. According to the Biblical book of Acts, ancient Jewish people also lived in that region. Although it was still unclear as to who built the sites, it was obvious that they did so for a specific reason. After some investigation, the authorities and historians realized that what the man found, was one of the greatest discoveries of archaeology of all time. 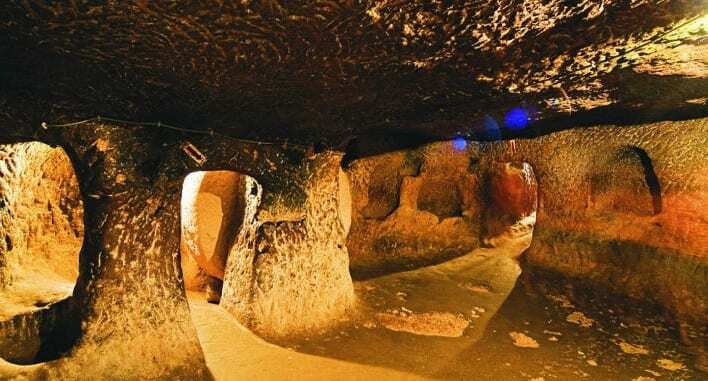 Historians were able to confirm that the hidden rooms, hallways and stairwells were part of the ancient underground city Derinkuyu. Before this exploration, many thought of Derinkuyu as a myth similar to Atlantis. Derinkuyu dates back to the 7th and 8th century B.C. and is believed to be built by Indo-European people called Phygians. 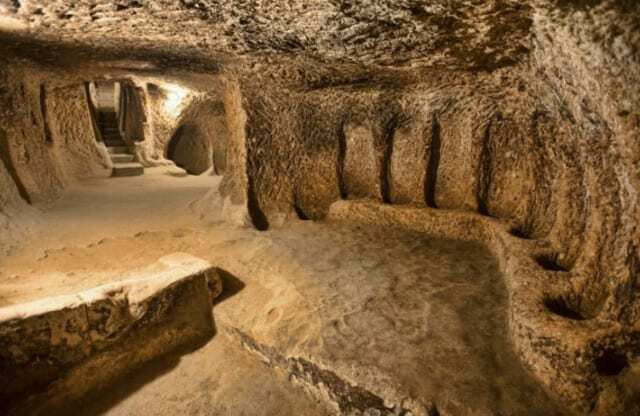 Since discovering the underground city, historians have developed various possible theories as to why the subterranean city was built. 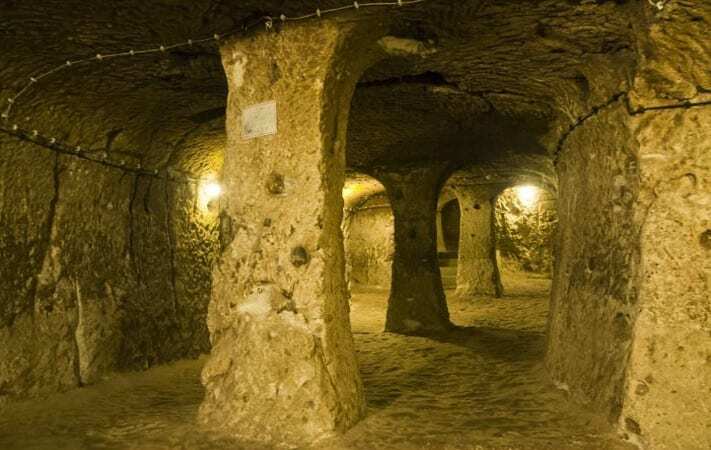 While some historians believe the city was built underground in order to act as a shelter from natural disasters such as volcanic eruptions, others believed it was supposed to protect them from alien invasions. In a Zorostrian text, it is suggested that the city was created under the direct order of the god Ahura Mazda, in order to protect civilians from a terrible winter storm. Archaeologists started to take over the site, exploring the site’s every corner. They quickly figured out that the site was much larger than anyone had imagined. 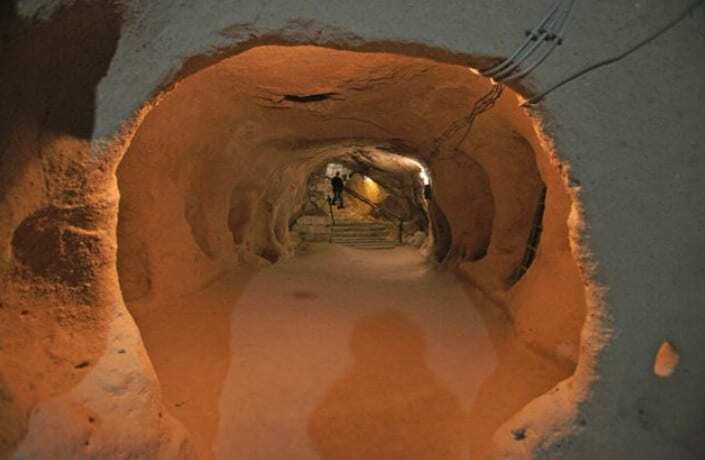 It actually descended 18 stories underground, a total of 200 feet deep. 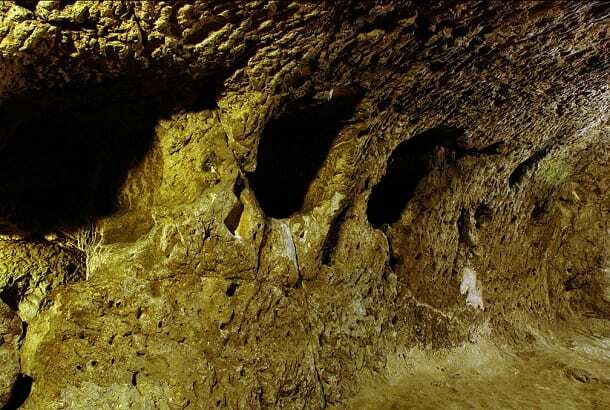 The man had discovered one of the biggest ancient underground man-made sites in the world. Historians estimated that the city could have held up to 20,000 people. Despite this amazing discovery, it was still unclear who lived there and why. The historians concluded that Derinkuyu was built at some point in the Byzantine era. The city was both underground and above ground and acted as a shelter or fort for the civilians during war, which happened quite frequently. Arab-Byzantine wars continued for 400 years and caused a great amount of damage. Fed up with the loss of most of their provinces in the south, the Byzantine areas that remained dug deeper and deeper in order to build a shelter to defend their land. 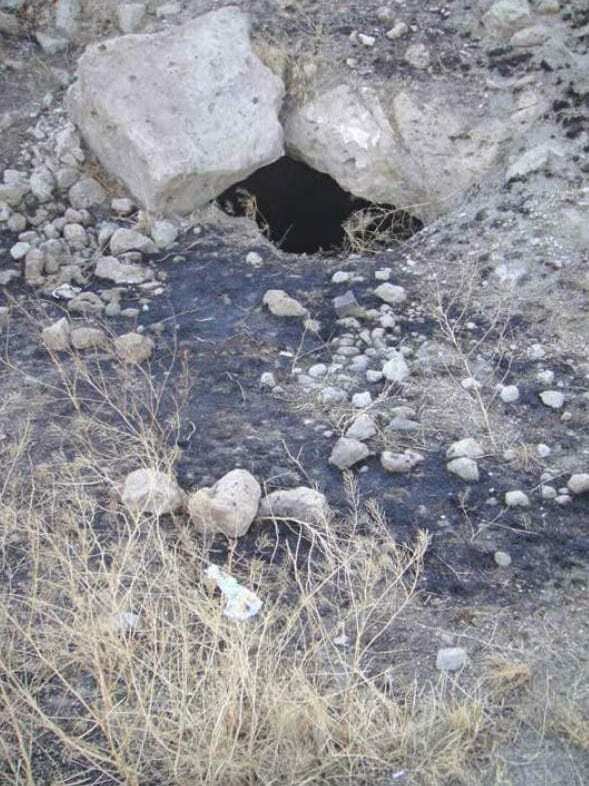 During times of violent war, the Derinkuyu residents ran to their underground shelter for safety. Life in constant war was reality for the people of Derinkuyu, and the Arab-Bezantine battle continued to rage on for many years without peace. As everything above ground was demolished, the city’s residents kept safe from harm deep in the ground. 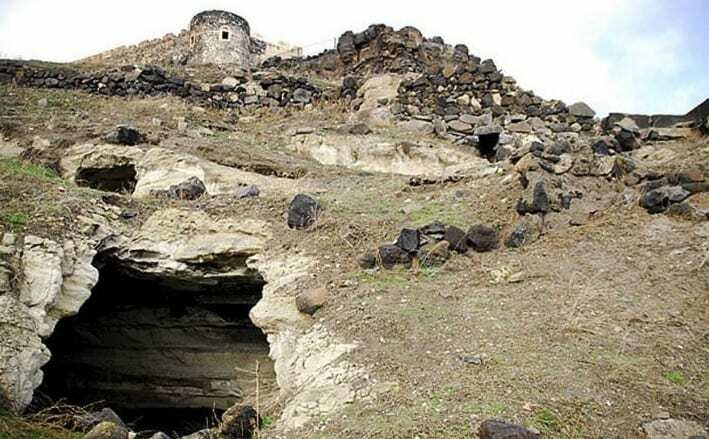 The people of Derinkuyu miraculously survived the wars thanks to their underground shelter. Researchers found a total of 100 secret doors that led into the site. The entrances were purposely well-hidden, making it difficult for a Muslim invader to ever find. Even if someone managed to find the entrance, invaders would have no choice but to enter one at a time through the narrow hallways. This smart engineering move prevented the possibility of large hordes of soldiers busting through and taking over the complex. Security and defense of the underground city was held at top priority. You can see in the way the site was strategically laid out, each floor was attached to a set of stairs in a hallway so tight and narrow that the only way to enter was by single-file. Also, each floor had a Boulder nearby ready to seal the opening shut if needed, locking out any possible intruder. With such a large site, the inhabitants could flee with ease to the floors down below if needed. Even though the residents of the city were forced to a life underground, they still were provided with proper living amenities. They were actually very well supplied considering they were constantly under attack. The residents got their water from the water wells, which were purposely inaccessible to anyone above ground. 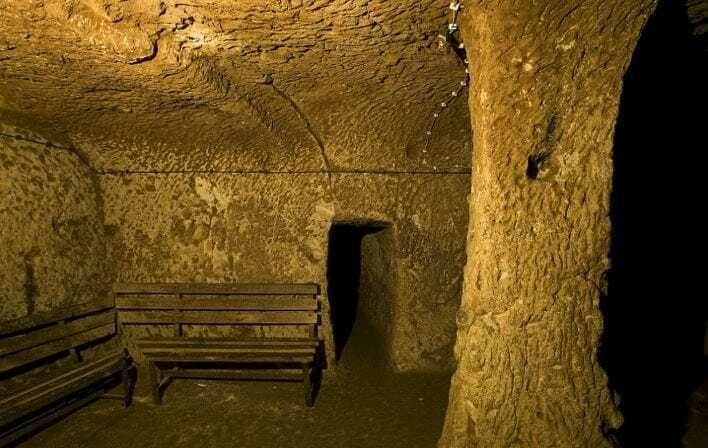 The city was also set up with an ancient “air conditioner” which provided fresh air throughout the lair using a special ventilation system. Each hidden entrance to the city was hidden well behind bushes and walls. 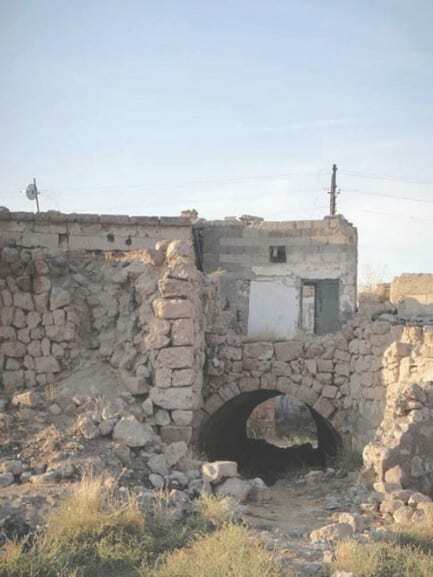 When it was necessary, residents had to squeeze their livestock through the small openings in order to make the upper city look completely abandoned to their invaders. The ventilation system acted also as a chimney for smoke to escape. At the time, electricity had not been invented and residents used torches to light up the city. Even today you can see remnants of black ash on the ceilings. 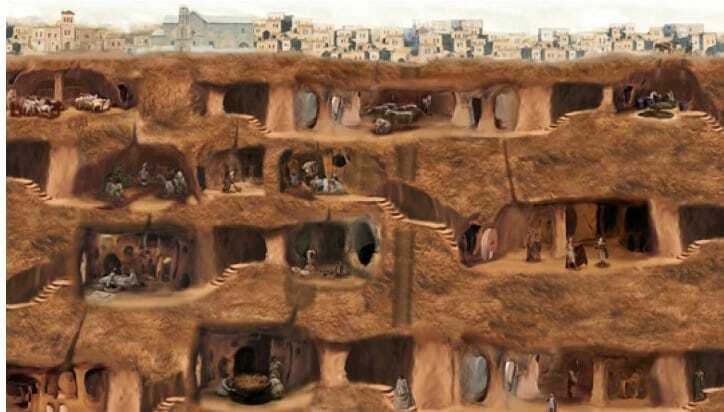 The residents of Derinkuyu had to live underground for very long periods of time. The city had to not only act as a place to hide, but a place to live as well. Therefore, living areas, storage rooms, wine cellars, stores and churches were all set up to accommodate the residents. This allowed the people of Derinkuyu to live a pretty normal life, just as they would have above ground. Christianity was still a very important part of the residents’ lives, and the city was built with much respect to their religious lifestyle. They stored their important religious artifacts and belongings on the safest and lowest levels of the complex. 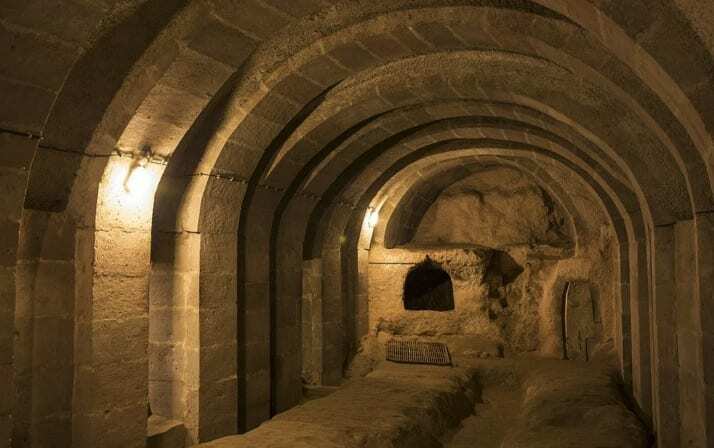 Churches were also built deep below in the city in order to guarantee its protection from invaders. Religious classes and services were also held on a daily basis in the chapel. While Derinkuyu may have been the largest city of its kind, it certainly wasn’t the only one. 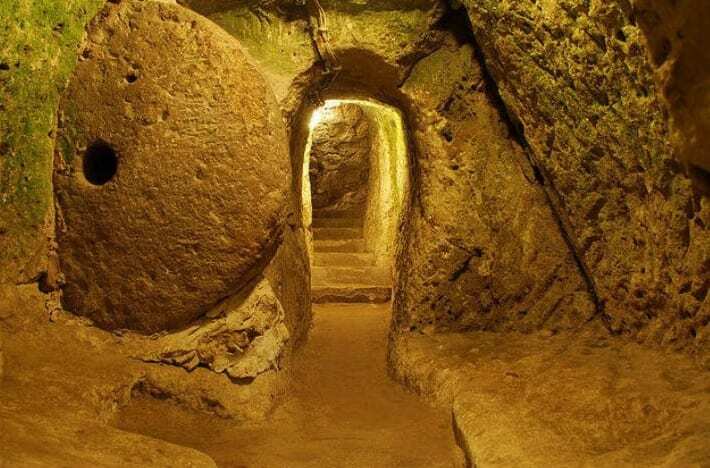 It was actually connected to at least 200 other underground cities. This provided the residents of Derinkuyu with a strong back up plan. Incase of an emergency evacuation, there were hundreds of different routes they could flee to which would lead them to one of their neighboring cities. The tunnels could also be closed shut with boulders in order to keep any unwanted invader out. As time went on, the Byzantine Empire was replaced by the Ottomans in the early 15th century. 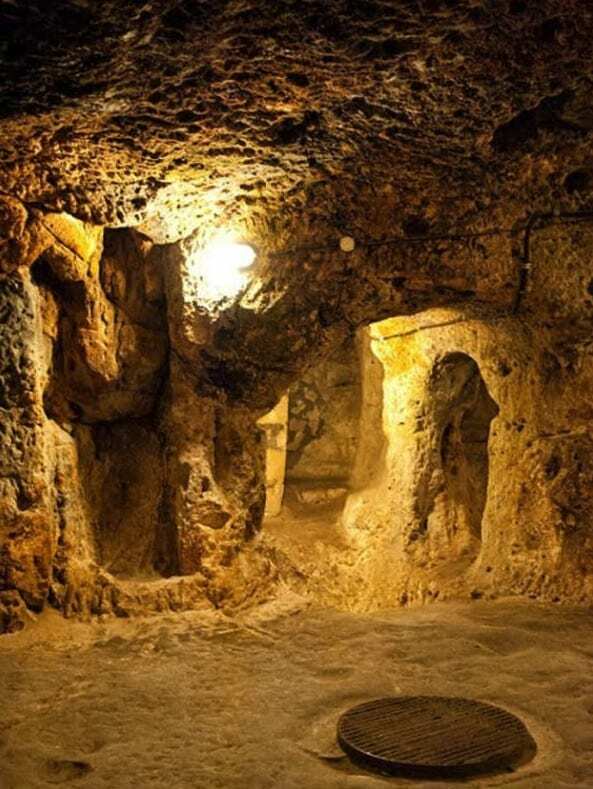 After the Christian Empire fell, the subterranean city was used as a shelter from the new Turkish Muslim rulers. 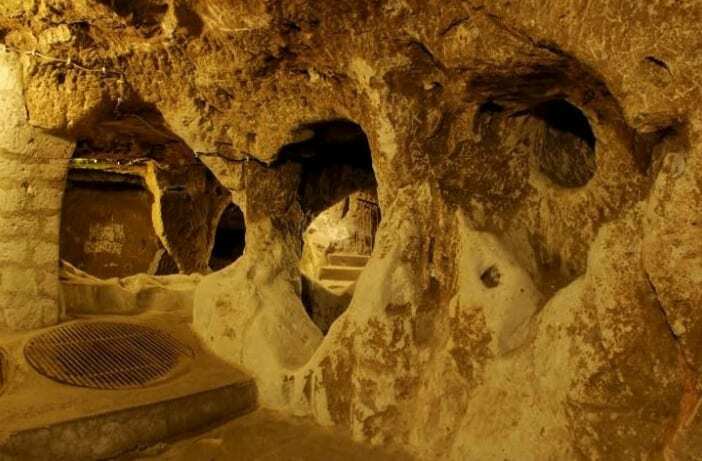 Historians believe that underground cities like Derinkuyu were used as late as the 20th century in order to flee from Ottoman tyranny. 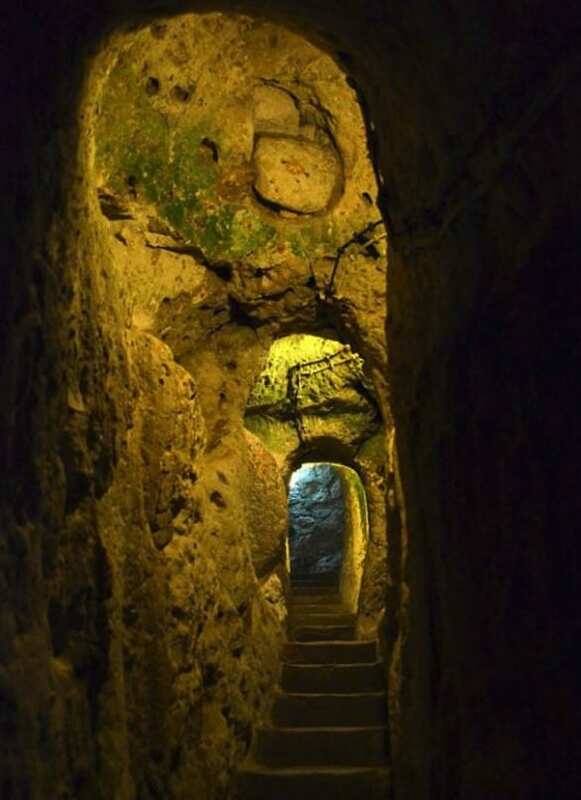 The underground cities were abandoned by 1923, when Christians fled to Greece. 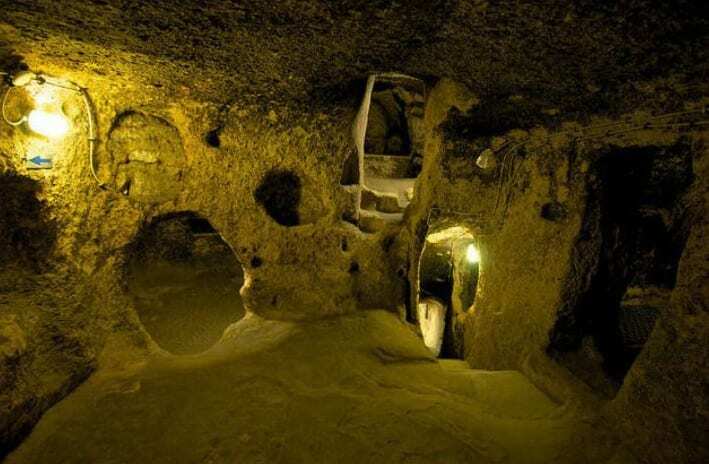 It is still unknown as to who exactly built the ancient underground city. However, many historians believe that it was built sometime in the 7th or 8th century by the Phygians. 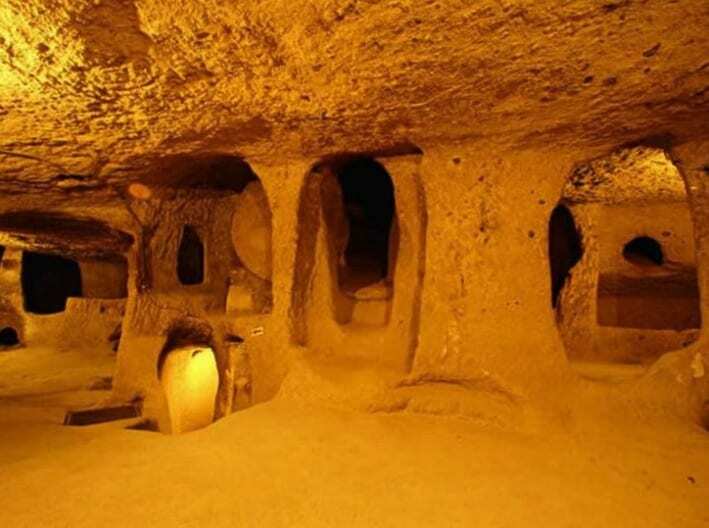 To this date, it is the biggest underground city ever discovered in Turkey. Derinkuyu was first mentioned in writing by the Greek philosopher and student of Socrates, Xenophon in around 430-354 B.C. In his writing, the builders of the city are never mentioned. In 1969, Derinkuyu opened to the public and is now a popular tourist destination. 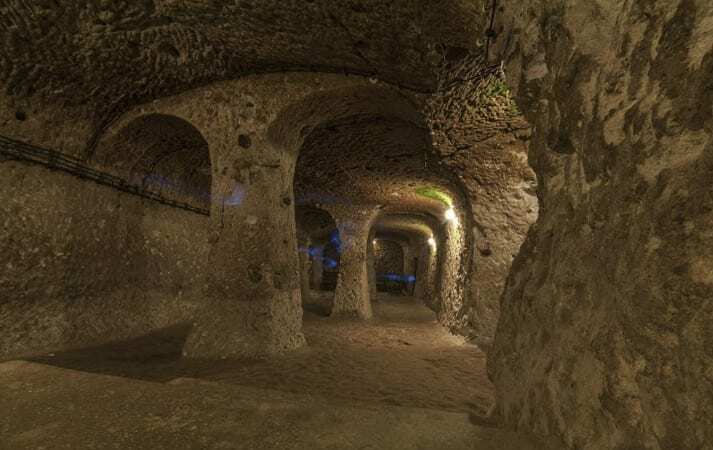 Tourists can view only a small portion of the subterranean site while the remaining parts are still being explored. To this day, archaeologists and historians from all over the world come to the site trying to find an answer to the unknown question, who built it? Although they may never find the answer they are looking for, researchers continue to uncover more secrets as the years go on.